This handmade hemp necklace was donated by shop owner KatiLoreenClem. “I have always been from Indiana. I enjoy anything unique, clever, natural, consistent, and formed with care. I value simplicity and polite communication. 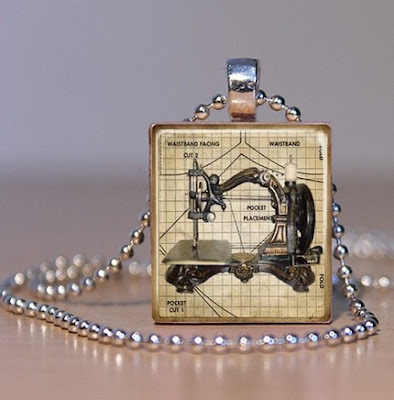 Todays’ ETSY shop giveaway is another seamstress inspired necklace for Haven of “The Eternal Ones” donated by shop owner Spiffy Cool…”Hey there – I thought I would devote a spot on etsy to gather my random cool things. 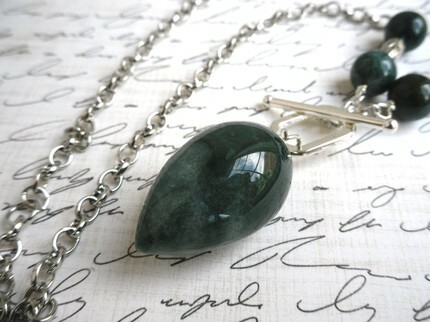 You know, those things you really like, but they kinda don’t fit into the “elegance” of general etsy stuff. I thoroughly enjoy sarcasm, wit, intelligence, learning, science, and poking fun at all of the above. Hey, if we can’t smile and laugh at the world and ourselves, well, I shudder to think what that would be like. Today’s Etsy giveaway goes along with Jenna’s bloodstone in the Book “Hex Hall” by Rachel Hawkins and was donated by shop owner Crowning Elements. The actress in me can’t resist making every outfit a costume. A faerie, a witch, a pirate queen. This is how Crowning Elements grew into a company. I love expressing my creativity in a tactile way. I am always delighted when all the elements come together and make some thing amazing. I hope you enjoy my products as much as I love making them. 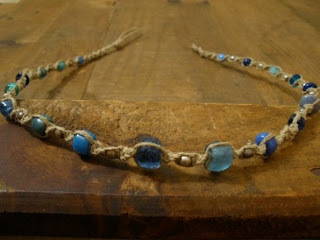 Elements of nature to create beautiful one of a kind headbands, garlands, pendulums, and prayer beads. Here I hope you will find the perfect Crowning touch. I donate a portion of your purchase to The Dizzy Feet Foundation.